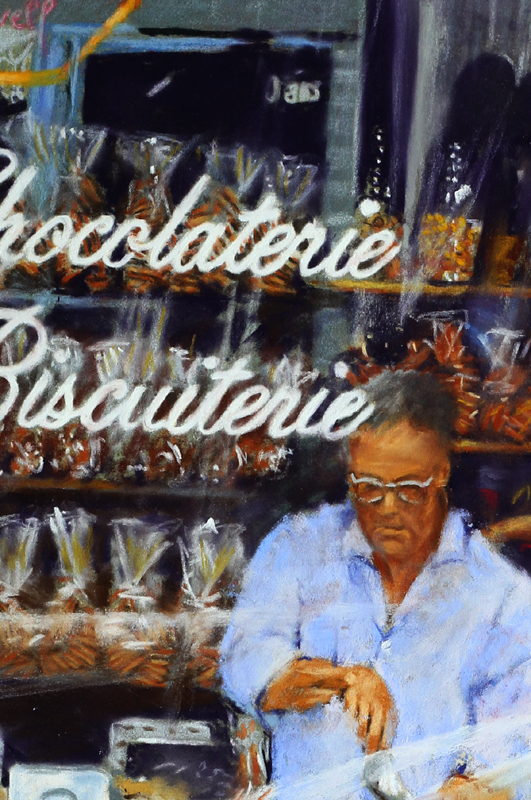 This is a 26″ x 19″ pastel study of a chocolatier shop front in Honfleur. 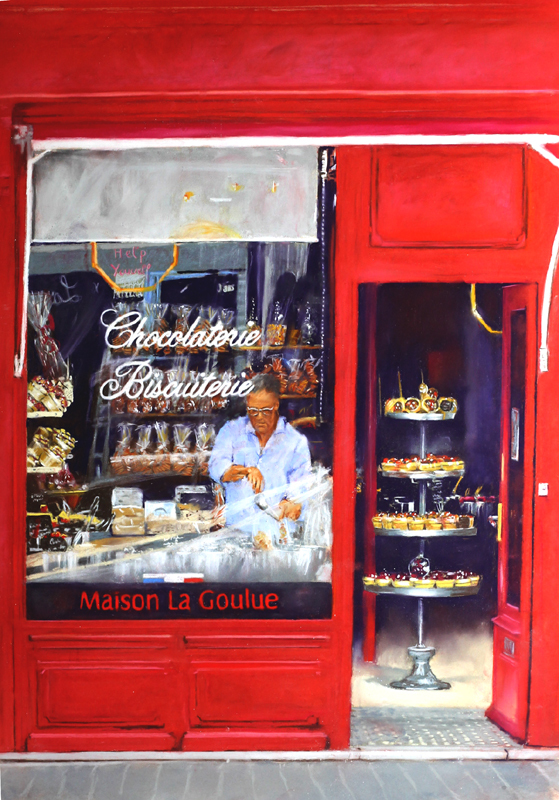 The shop is called Maison La Goulue and is situated in one of the side streets in Honfleur.The owner is filling the containers with sweets and chocolates. The work will sent unframed in a heavy duty roll. Don’t be worried that the work is sent unframed. This means that delivery is free, it arrives safely and you can chose your own frame. You do not even have to handle the painting. I will provide detailed instructions. All you have to do is take the roll to your local framer, chose your own frame and he will do the rest.